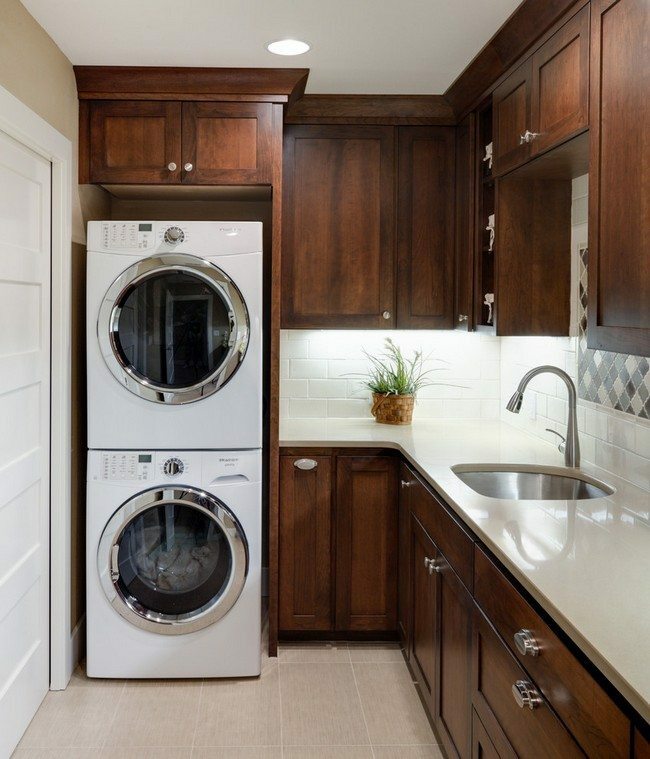 If you’re looking for laundry room ideas, or to fit your washer and dryer in your home, why not try placing them in the kitchen? 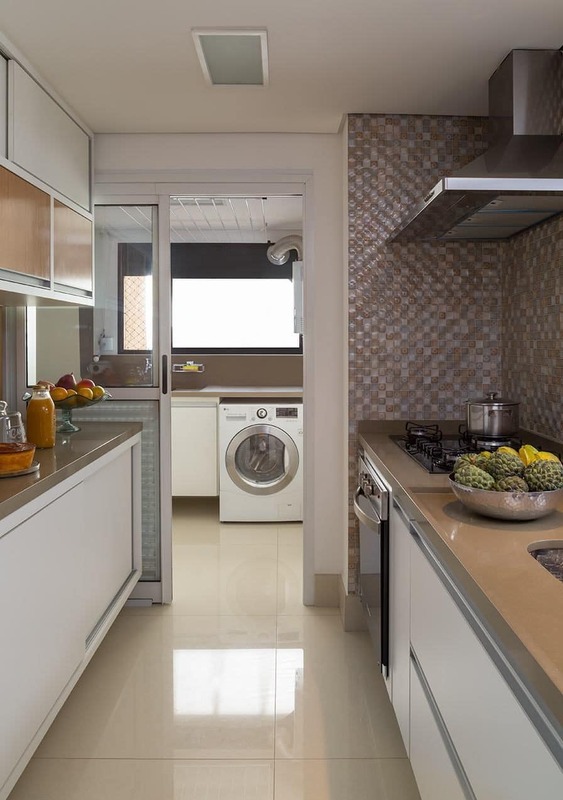 For one, the kitchen can handle the traffic demands of a laundry area. 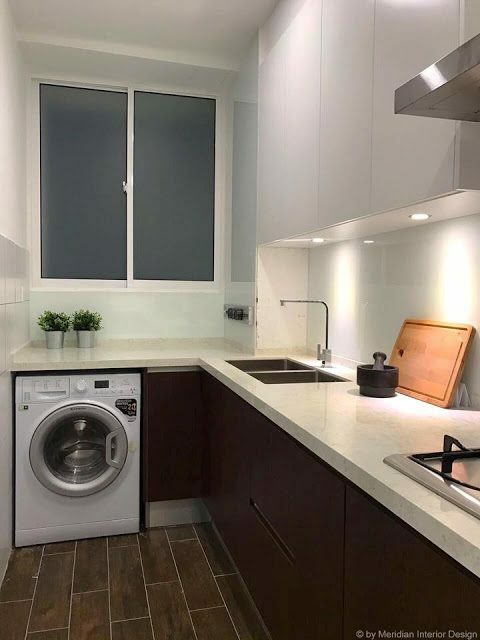 And since kitchens already have electrical and plumbing facilities available, you don’t have to worry about renovating the area to fit your laundry demands. 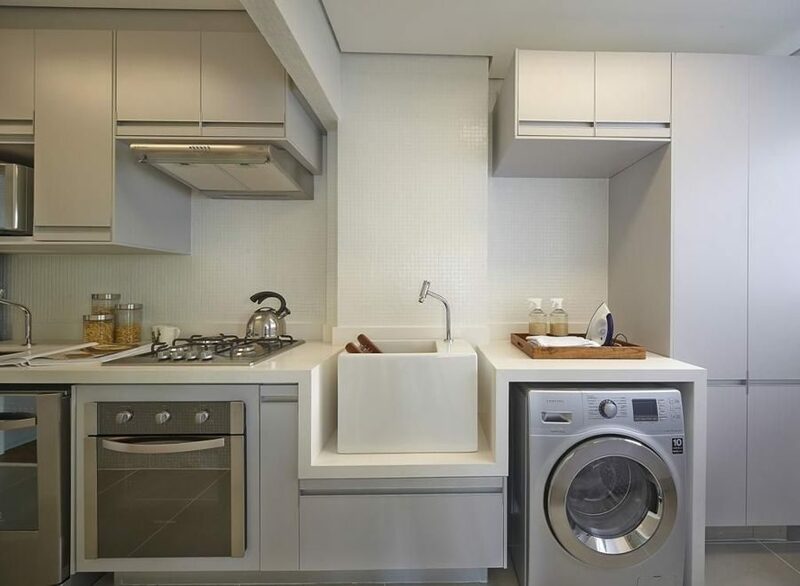 Plus, more and more Malaysian households are getting dryers to go with their washing machines. One reason is that they live in high-rise units with no balcony for sun-drying. Another reason is that dryers let you dry your clothes without the risk of rain. 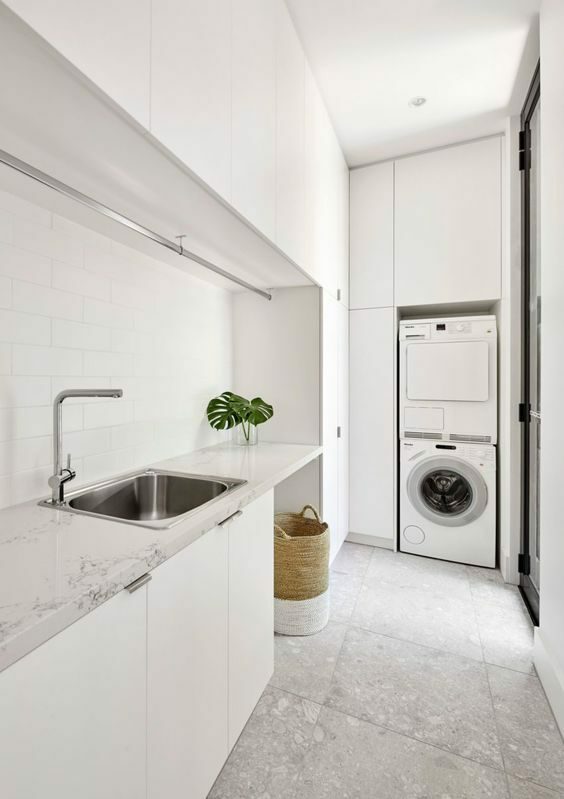 However, having both a washing machine and dryer can occupy a lot of floor space, so it’s not surprising to find washing machines/dryers tucked under kitchen countertops, inside cabinets, or stacked right next to refrigerators. Excited yet? 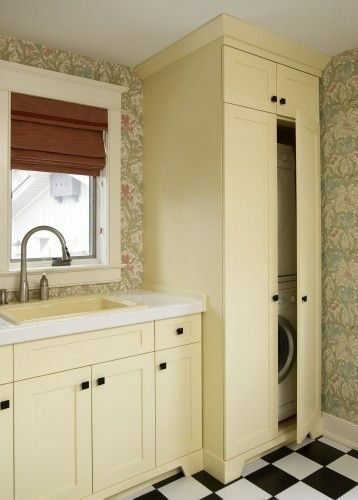 Here are some kitchen-laundry room ideas that we’ve managed to scour from the internet that you can use. 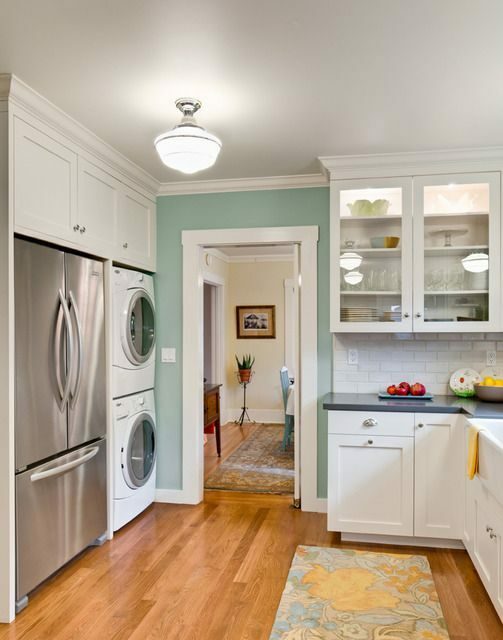 Although small kitchens typically lack space, you can still take advantage of the height of your ceiling. First, stack your dryer vertically on top of your front-loading washing machine. Then, squeeze them into a corner of your kitchen. 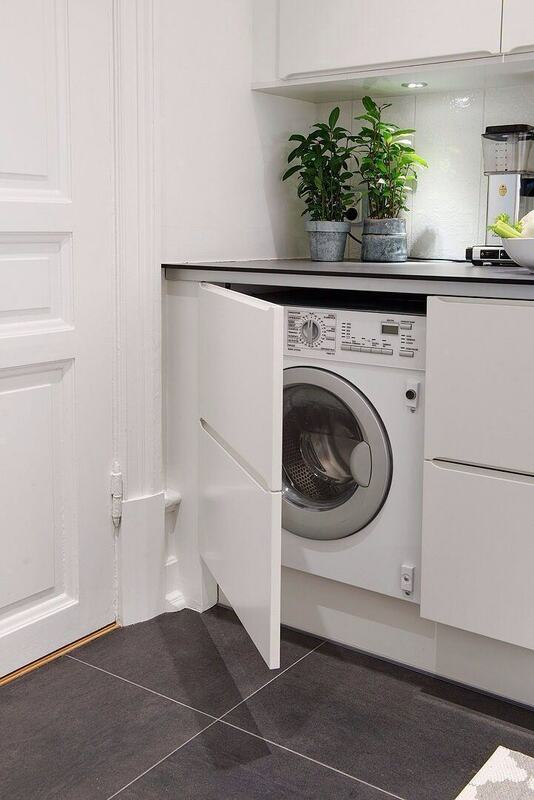 This helps to fit two machines in one space-saving way. 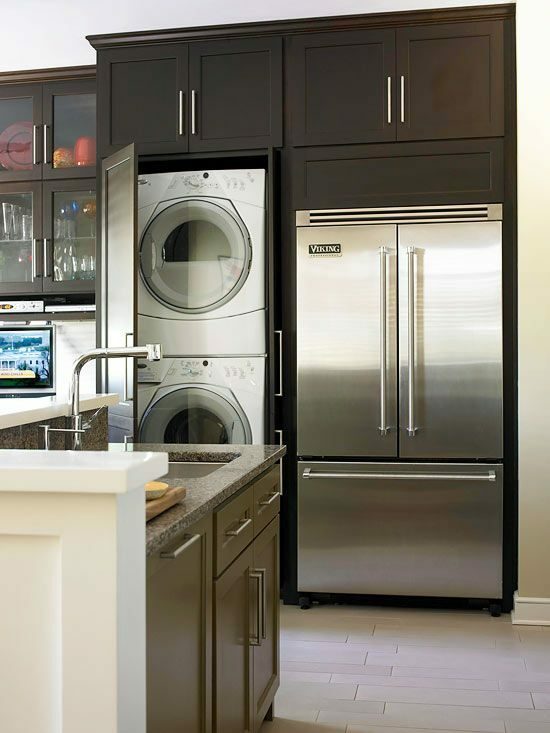 Unless you have a stylish, space-age washing machine, you probably don’t want your guests to see these appliances in your kitchen. 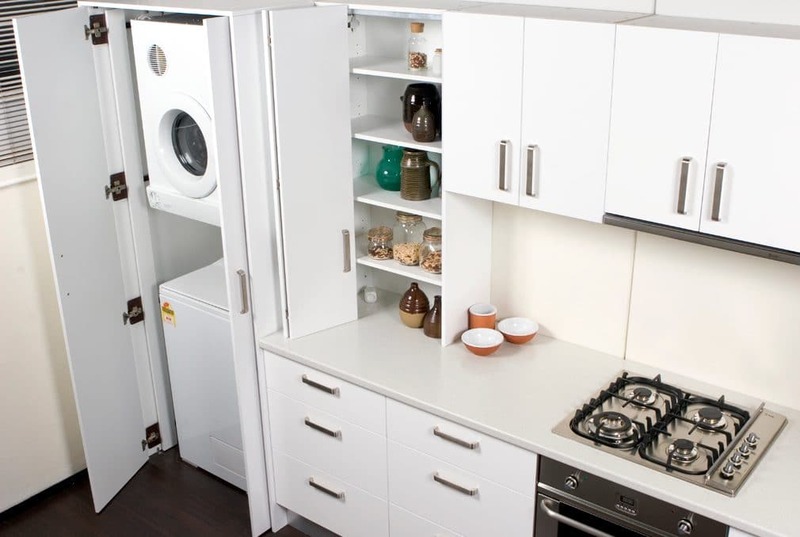 If you have a front-loading washer and a dryer, stack them on one another then hide them inside a customised cabinet. 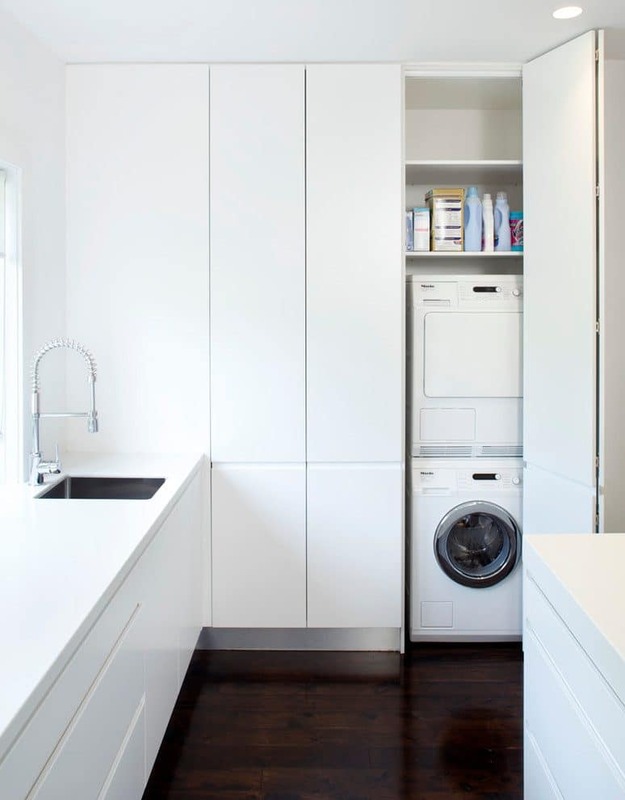 You can also install some shelves to place your laundry essentials and make use of the space above. Have an extra space beneath your countertop and don’t know what to do with it? 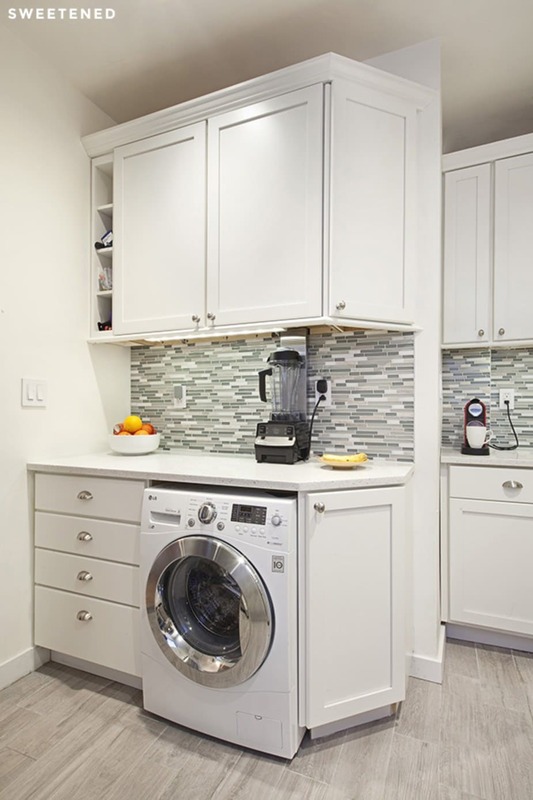 One of the more common kitchen-laundry room ideas around is to slot the washing machine beneath the kitchen countertop. 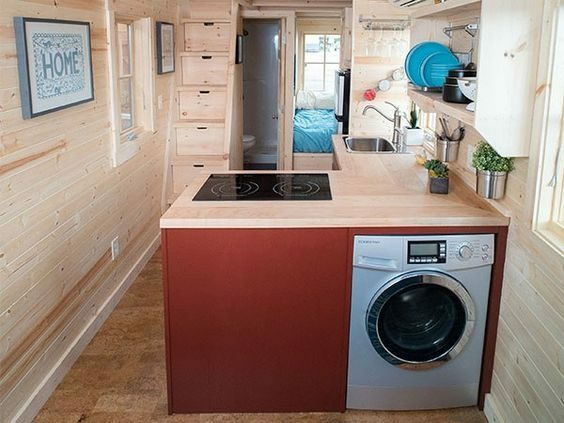 This way, you can use the countertop space above to fold your clothes as well as placing your laundry basics. 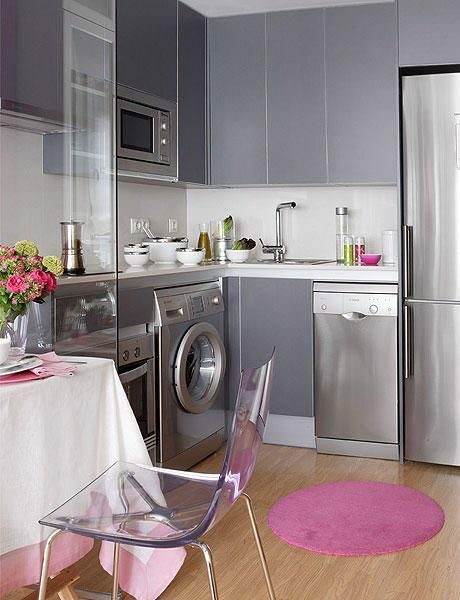 Another way is to squeeze it close to the sink area so that you can use the sink to hand wash delicate clothes. 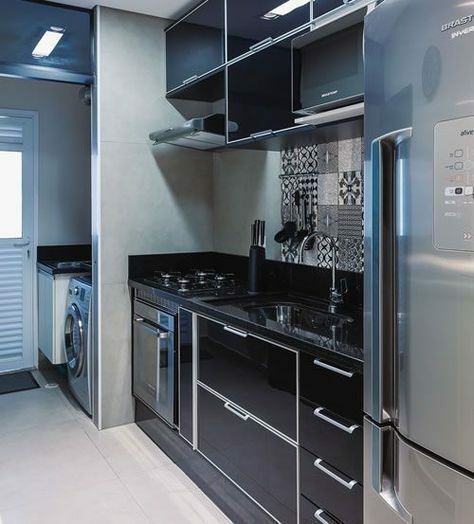 Many homes in Malaysia separate the kitchen into a dry and wet kitchen. 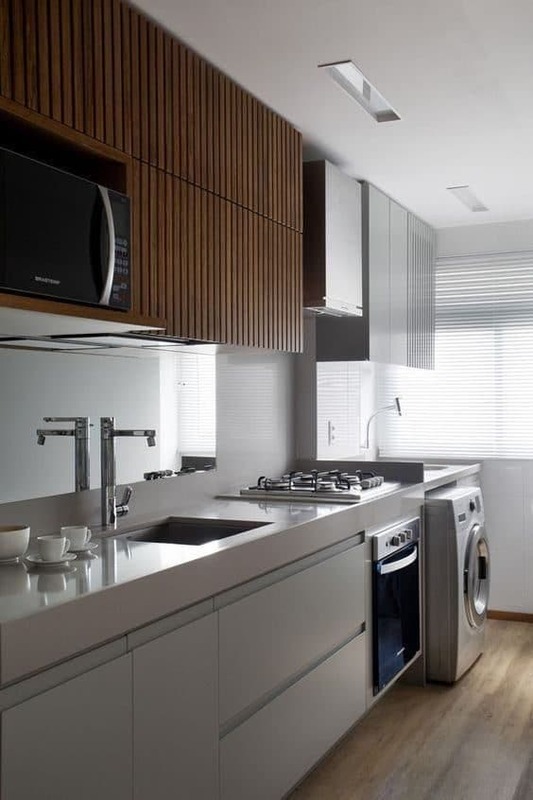 The dry kitchen is usually for preparation of snacks and drinks, and is nearest to the dining area. Meanwhile, the wet kitchen is the place for stir-frying, baking and raw food preparation. 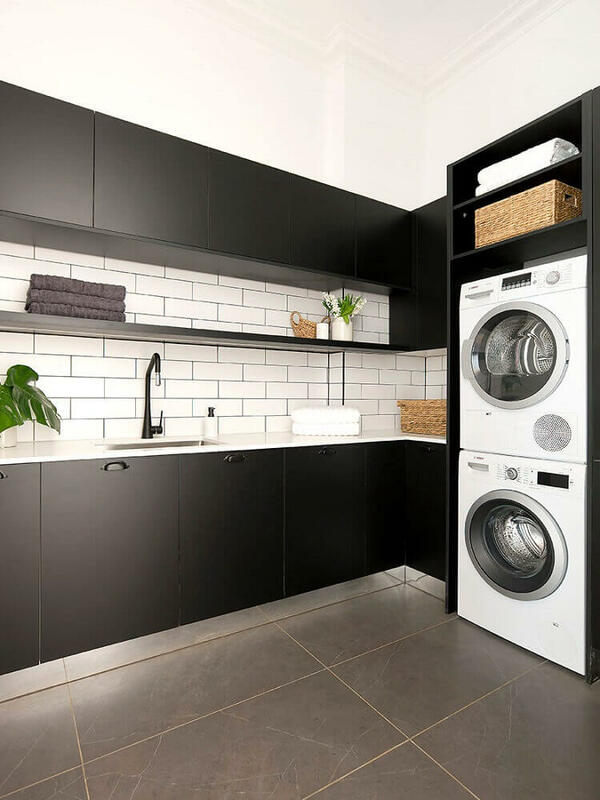 As the wet kitchen is usually isolated away from the living area, as it can get noisy during heavy cooking, so placing your washing machine there is a good idea to keep all the noisy appliances in a closed-off area. Need help with these ideas? 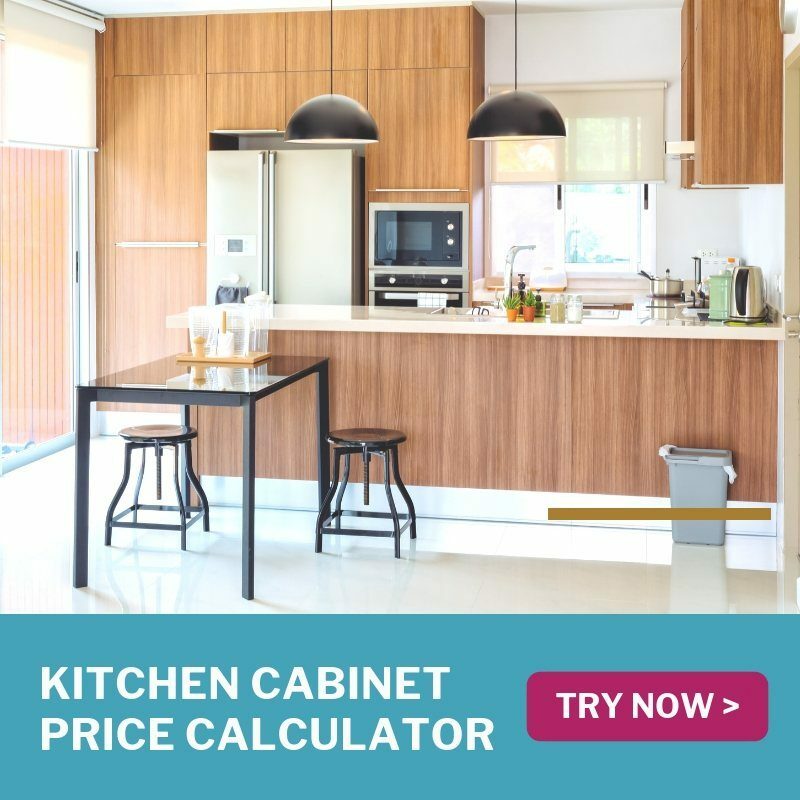 Get free costs estimates from cabinet contractors to build you customised cabinets that can fit your washer and dryer together, when you submit your request on Recommend.my. All you need to do, is to fill in a few basic details about your requirements in our easy-to-use form, such as location, available date, and budget for the job. Once you’ve submitted your request, contractors will respond with quotes for the job. Then, just compare the prices and decide who you want to hire. You can even read reviews and view photos of their previous work. Yen Joon is a lover of video games, films, and geeky things. He writes, writes, writes, writes, and does digital marketing.